“We don’t control history, we protect it,” Naitanui said. “Isn’t that the same?” Cate asked. “You stand by and let people die?” A sprinkling of doubt floated through Cate’s head. How could letting people die be acceptable for any reason? The Midnight Society is available worldwide in ebook, paperback and hardback from your favourite online retailer. The ebook is exclusive to Amazon, and Free on Kindle Unlimited. Rhonda was born and raised in a small country town in Western Australia surrounded by the most beautiful beaches in the world, although sadly the weather provided more rainy days than sunny. After high school she headed to the city and after four years studying at University, which was completely free back then, she studied a little more and set off with her Chartered Accountant Certificate under her arm to travel the world doing all things financial, which she found fun and interesting. Please don’t hold that against her. To this day she remains pretty much all travelled out, which many people find incomprehensible. 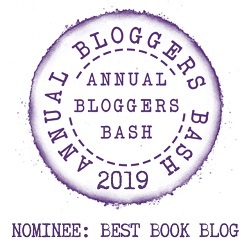 One evening, shortly after the arrival of her second child she announced to her very understanding and supportive husband, her decision to swap spreadsheets and numbers for chapters and prose. This was followed by the bold and impossibly naive statement she was going to write a book. And just like that she was hooked. At an age well over 21 she found something she was passionate about and truly loved. That first novel still sits on her computer – cringe worthy to the trained eye, but a reminder of not only how far she has come, but also to never be afraid to try something new. Working from home can be very distracting, with the television, free WiFi, two very entertaining ragdoll cats and a multitude of things to clean and organize. That is Rhonda’s excuse for writing in coffee shops. When she isn’t writing, her time is spent playing taxi to her children, making school lunches and planning what to cook for dinner. An unfortunate accident in her first Tae Kwon Do class which resulted in six weeks immobile in plaster, followed by six months of rehabilitation now has her committed to watching her children in their Tae Kwon Do classes to research new fight moves for her characters. 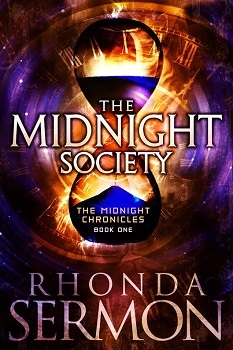 Her debut novel The Midnight Society was a finalist in the Young Adult category and overall runner up in The Strongest Start 2012 Contest hosted by TheNextBigWriter.com. Rhonda now lives in Perth, Western Australia with her husband and two children. Her two ragdoll cats can often be found helpfully walking over her keyboard, chasing her mouse or generally complaining loudly about the lack of priority their needs are given. Enter the giveaway below to win yourself $50 – open to US residents only, sorry.